These Standard-Duty Landscape Rakes work well for cleaning and preparing sites for seeding. They can spread rocks, move debris, and reshape soil. Designed for use by landscapers and contractors, they will meet the demands required for golf course maintenance, terracing hillsides, shaping run-off control ditches, and preparing areas for reforestation. 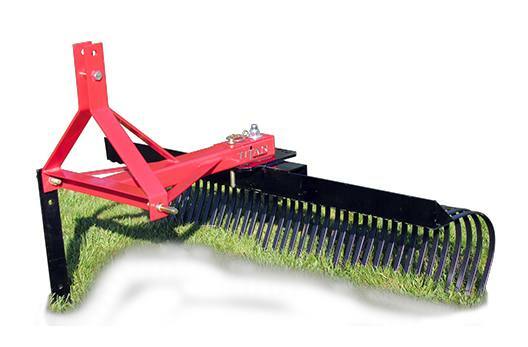 The rakes feature a five-position angle adjustment, are available in widths from 48” to 96”, and are are Category I quick hitch compatible.